Pieces of an ancient talisman have been separated, and now it’s up to you bring them back together before it is too late! 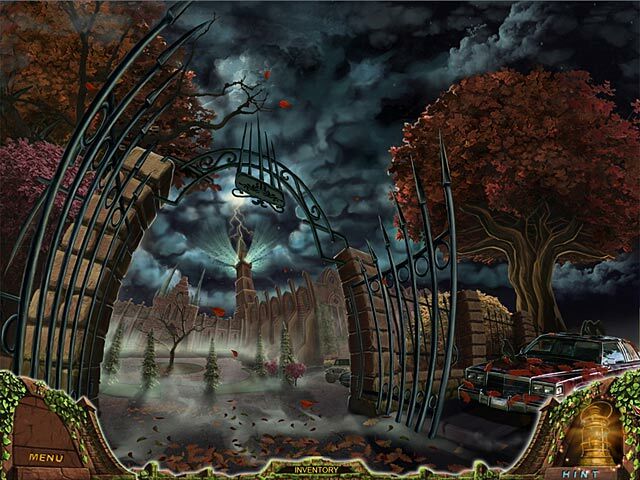 Protect Banderville College and figure out who is behind this dastardly plan. 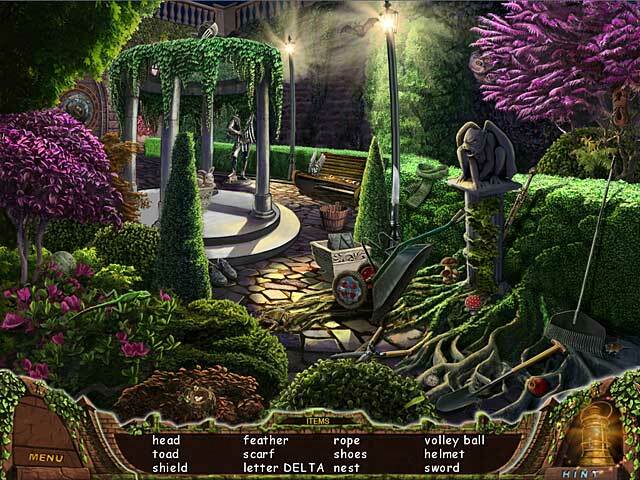 Help Lara with your Hidden Object skills and get to the bottom of this intriguing mystery in Lara Gates: The Lost Talisman! 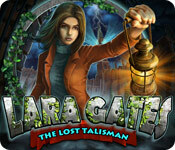 Lara Gates: The Lost Talisman is rated 3.0 out of 5 by 20. Rated 5 out of 5 by tailswhiskers from Fun anddid not want it to end When I started to play this game, I found out that it takes place at a college. The graphics and sound are good. The people look like people. It is not that hard. I had to use the hint button. After I did something I was able to figure out what to do next. I did not want the game to end. I would recommend this game. Rated 4 out of 5 by AdrianaIP from Nice relaxed HOG This is an easy relaxed game. The HOS are mixed up with fun puzzles, not too hard, nor too easy. The storyline is fun, and the fact that you can only enter rooms at some times and not others makes it interesting. It is pretty to look at. A nice fun game. Rated 4 out of 5 by arnold1049 from TEST FOR YOUR EYES I played this game under the Expert mode. This game had a lot of HOS but a lot of the objects were incredibly small. There was some back and forth between locations that annoys me but the hint button was a quick way to find out where to go next. The game did freeze up on me a couple of times. Overall an enjoyable game, though somewhat short. Would like to see the sequel. Rated 4 out of 5 by BarbaraFish from A nice relaxing game I already have this game, but didn't quite remember it, so i played it again. I like it. It's not going to be anyone's all time favorite, but it's a nice break from some of those where you absolutely need a walkthrough. If you don't know what to do next, just look for an unlocked door, or click on the hint button and it will tell you. I like games with that feature. It should be a requirement. The music was nice but the "ghostly" noises were totally unnecessary. There is no voice over, but you don't have anyone to talk to anyway. At the end there is a statement leading us to believe there will be a sequel. Perhaps that's why it's on DD now. It's a straight forward HOG with a few puzzles thrown in. Nothing that will challenge an expert HOG player. I played the regular version and it ran about 3.5 to 4 hours. Well worth the money especially when you feel like playing a game that doesn't over tax your brain. ;) :thumbup: It's a buy and i recommend it. Rated 4 out of 5 by TopazMystique from Looking forward to the sequel! For those who really didn't like this game, I suspect they are seasoned HOG fans and enjoy the more involved games. Although I play a lot of HOGs, I do like an easy one once in awhile and this one fit the bill! I did use the hints on occasion and found them for the most part helpful. I especially liked the "open door" concept that tells which areas to search and eliminates a LOT of frustration and useless backtracking. I considered the graphics to be mostly excellent and one of the reasons I bought the game. I found the perspectives to be an interesting change and although the hidden object scenes were junk pile, I consider them "nice" junk because the sizes and locations were mostly correct and believable. One drawback (and it is in a lot of games these days) is items that are not physical objects, i.e., stencils or drawings. If I was searching somewhere and could not pick something up, logically to me it is not an "item" that should be searchable. 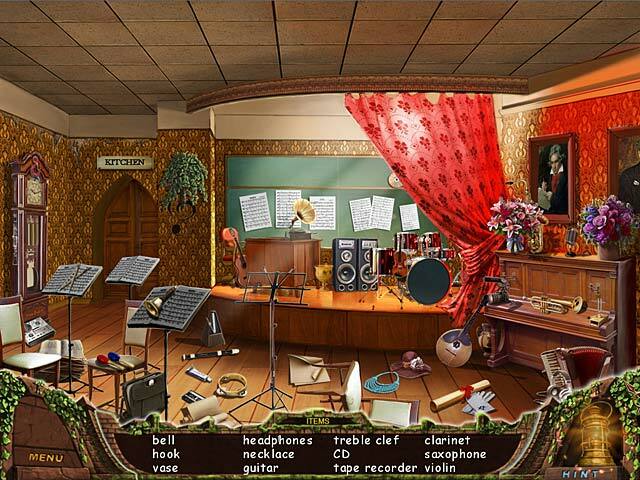 Although there were no voice-overs, there are ghostly sounds in the music room for sure and may have been in other rooms as someone else mentioned. When I entered the music room I thought, "sure am glad I'm not playing this game in the dark!" The only issue I had with the actual game play is that there was a brief hesitation when the last item in a hidden object scene was selected. Other than that the game ran fine for me on my Windows XP. I liked that the mouse was not hard-coded for right-handed people (easy for us lefties) and that there were two modes of game play: regular & expert. Also, I was able to play in windowed mode which I much prefer. And although the game does have a pop-up inventory (much prefer stationary), it was relatively benign as far as popping up at the wrong time. Hoping to see the sequel out soon since it's been a year since this one came out! Rated 4 out of 5 by tilmalene from Entertaining Looks lige other seek and find criminal challenge, but is a fine one. Rated 3 out of 5 by mrm2006 from Collect the 7 talismans of the artifact. Professor is missing but he called Lara to discuss an important artifact. Lara goes to Italy in search of clues. She knows that the talismans have been scattered somewhere around the University, but where? Go from room to room and back again - without benefit of a transportable map so this becomes tedious very quickly - finding clues and talismans (7). Graphics/Sound: Graphics are poorly done. Looks like a handpainted sketch. Sound was muted so I couldn't tell you much. No voiceovers - all reading - which also can become quite tedious. HOGs/MiniGames: This is a heavy HOG game. Every room you enter, there is an HOG to play. Problem is, the items are so difficult to find I got a headache. Mini Games were fun and relatively easy. Clues are in your journal. I really wanted to like this game but the story line was weak, lacked continuity and form. The HOGs gave me a headache and there was way to much back and forthing for my taste. My knees were actually beginning to hurt. For these and several other reasons, this will not be a buy for me but I do encourage everyone to give this game a try. Could be just what you're looking for. Happy Gaming! Rated 3 out of 5 by gamefan10 from An OK game This game was almost entirely hidden objects. You are on the grounds of a college and you go from room to room looking for objects that you need. Every so often you find a talisman and have to place it correctly in a design. The way to find where to go next is to look for an open door. The doors are locked if there is nothing to do. There is also a hint button that will give you a tip if needed. There really isn't much to do except find things and then use them somehow. A journal helps you to use some of the objects. If there is some kind of mini-game once in a while, there is also a Skip button if needed. The game wasn't very long. At the end there is a big hint about a sequel. The game certainly wasn't horrible, just OK. I'm giving it a pretty unenthusiastic recommendation. Rated 3 out of 5 by efac from It's just okay Did not take long to complete. A little fustrating until you realize you need to check all the rooms to see if they are open to play in. The would suggest this is a beginner's game. Pieces of an ancient talisman have been separated, and now it’s up to you bring them back together before it is too late!